Despite the threat of tighter regulations from the FDA, the U.S. handmade cigar market is growing rapidly. The U.S. premium cigar market is doing well. Handmade cigar imports experienced robust growth during the first half of 2018, sustaining an improvement that started in 2017, according to data provided by the Cigar Association of America (CAA) and published by Cigar Aficionado. Last year, the U.S. imported 330 million handmade cigars, the highest number since 1998 and the end of the well-known Cigar Boom, the name given to the booming of the cigar market in the U.S. during the 1990s. For the first half of 2018, the U.S. imported 166 million handmade cigars, compared to 150 million for the first half of 2017. For now, imports are thus up 10% compared to 2017, which was already a very good year. To put these figures into perspective, let’s remember that, during 1999 and 2011, annual imports were well below 300 million units. They started growing again in 2012, leading to today’s boom. Nicaragua is the largest supplier of premium cigars to the American market. 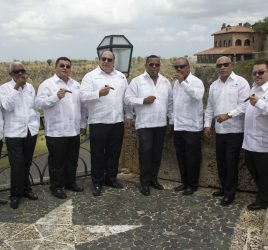 For the first half of 2018, the Central American country exported 80 million cigars to the U.S., followed by the Dominican Republic (54 million units) and Honduras (31 million units). Because of the Cuban embargo, imports of Cuban cigars to the U.S. are strictly forbidden. Shipments of premium cigars from Nicaragua to the U.S. has increased by 13.5% since last year. Considering the political turmoil that the country has been going through since April 2018, including strikes, riots and violent protests, this performance is even more impressive. But the Nicaraguan cigar industry has already been through hard times in the past. Until 1990, cigar shipments from Nicaragua to the U.S. were illegal due to an embargo, and the civil war between the Contras and the Sandinista government, which lasted until the early 1990s, caused a great deal of destruction, wreaking havoc on cigar production. As a consequence, the country exported fewer than one million cigars annually to the U.S. until 1995. 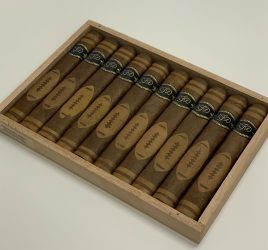 Since then, the Nicaraguan cigar industry experienced a quick revival, becoming the third-biggest supplier of premium cigars to the U.S. by 2000, then second by 2013 (behind the Dominican Republic), before becoming No. 1 by 2016. Since then, Nicaragua has been staying ahead of competition. If the U.S. premium cigar market is experiencing a solid growth, it is also facing some legal hurdles. The Food and Drugs Administration (FDA) is currently planning on imposing heavy regulations on cigar producers, including a cumbersome validation process to go through before launching new products on the market. According to many experts, this could harm small producers, reducing the variety of cigars on offer and increasing prices for consumers. Opponents to this law have already succeeded in delaying it. 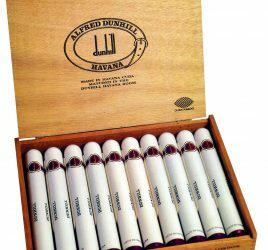 They are now trying to exempt handmade cigars from the premarket review process. Last July, a Washington, D.C. court delayed an FDA requirement that mandated warning labels on cigar boxes. This decision came as a great relief for cigar manufacturers, who pointed at the increase in spending that the measure would have fostered. But when it comes to exempting premium cigars from the validation process, the future remains uncertain. In these difficult times, the cigar market’s robust growth gives aficionados a good reason to cheer up.